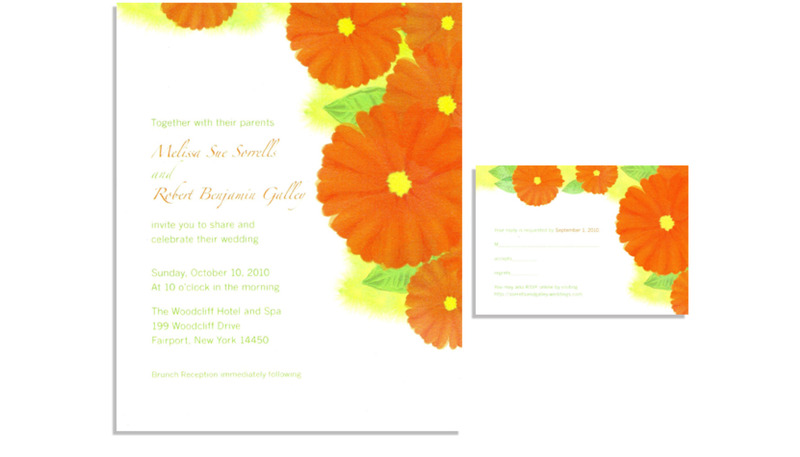 jordannerissa developed a wedding invitation set for a client based off of the colors she has chosen for her fall wedding. She was looking for a custom graphic of her orange gerbera daisies. The design is modern yet elegant reminiscent of a watercolor painting. These Girls are Flippin’ Awesome!